The USB-Upgrade features programming by MicroUSB and . 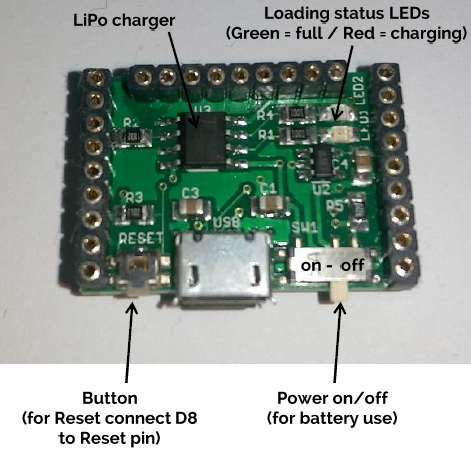 The USB-Upgrade is mainly to provide Power to the Wino board by the USB-connection but it also is used for Programming the board. It is also used as a Battery upgrade by soldering a LiPo cell to the bottom side of the board. Tactile Button which is connected to D8. To use it as a Reset button please connect Reset and D8 Pin. 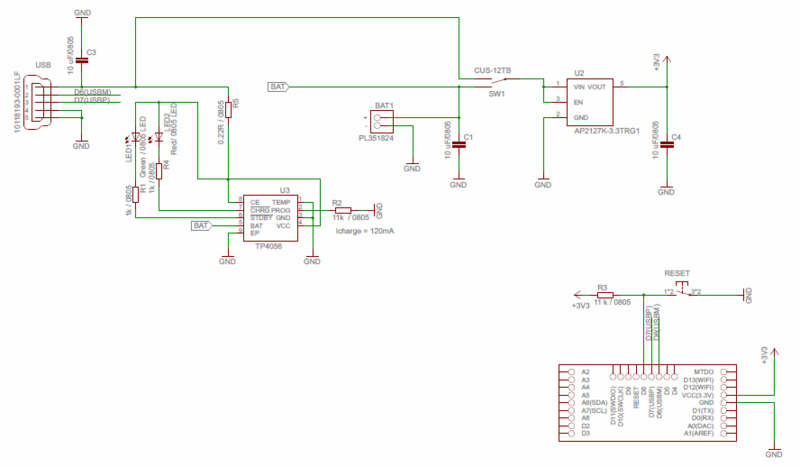 LiPo Charging IC to charge a connected LiPo cell. The LEDs are inticating the charging process. The Battery Upgrade includes the LiPo battery at 3.7V and 250mAh capacity.